Very functional layout only steps to Bridlewood nature ponds. 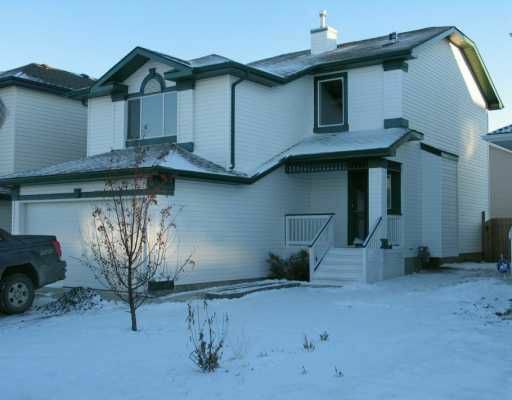 This 2 storey has 3 bedrooms, 2 and a half bath, as well as bonus room with fireplace, 9 foot ceilings and central air. Basement is finished as large open space perfect for exercise area or for the kids to play. ( seller choose to paint concrete floors for durability) . Outside has south facing back yard with deck and hottub. With parks, schools and bike paths all within a few blocks this home makes a great family home. Seller has two dogs and will give a $500 gift certificate for any lawn care that the snow has covered as well the home will be professionally cleaned and all rugs will be steam cleaned on or by march 1st when the dogs go to their new home. Come see what this home has to offer a new family!